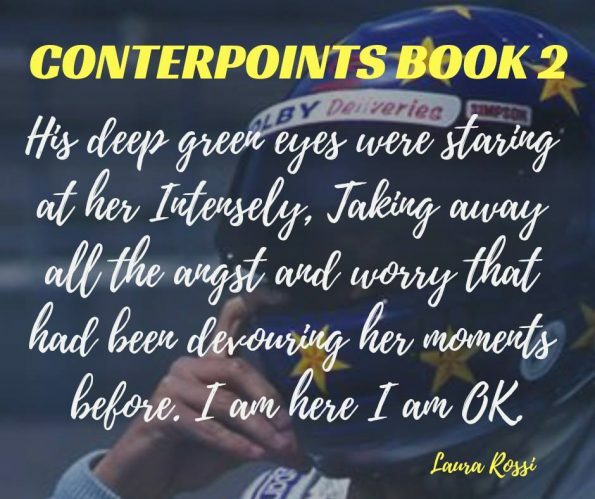 Review – Counterpoints: Book 2 by Laura Rossi – 5 Heart Stopping, Adrenalin Filled Stars!!! 5 Heart Stopping, Adrenalin Filled Stars!!! Isabella has a job to perform and she is going to perform it well; only, her heart is aching, she misses his touch, his presence, his laugh. Working together won’t be easy, can she resist the urge to be near him? It’s a long time since I devoured a series so quickly; the Counterpoints series by Laura Rossi has took hold of my heart and has me held hostage. I can’t devour the pages quick enough, I can’t get enough of the characters, the story, the beauty of this incredible romance story. It’s a hard feat for me to hold off devouring book #3, so I can write this review. I applaud Laura Rossi, her talent for writing a captivating, enthralling, brilliant story is impeccable. Christopher is an enchanting character, you truly can’t resist his charm, the aura of joy and happiness that follows him wherever he goes. It’s clear he holds onto a lot of pain and struggles to confide in others. However, with Isabella, Christopher is 100% himself, he allows his true feelings and personality to come to life, he is quite the character, he isn’t afraid to take risks, he lives for the adrenalin rush, even when it comes to his feelings for Isabella. This story not only builds up to a heart stopping, heart breaking cliff hanger style ending, I can feel its building up to a much bigger storyline. One that I hope Christopher and Isabella will fight together, showing the world and those around them, just how strong they are. 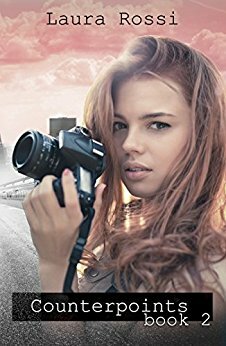 The Counterpoints series is for romance readers who like a little adrenalin rush, enjoy romances with a captivating edge and are happy to belt up and enjoy the ride. This series does need to be read in order, starting with Counterpoints book #1.